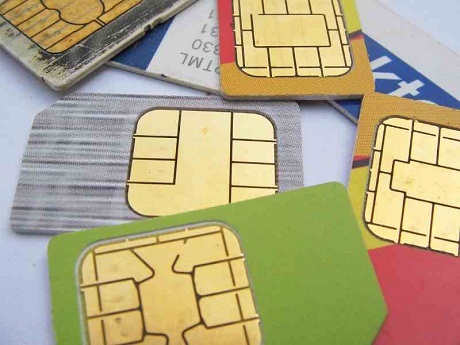 As someone who specializes in helping people find the best mobile and SIM cards deal, I have seen my own share of questions online, and I believe in the importance of ensuring people are informed. One question that get asked the most by people in look of a new mobile service provider is that of which is better in going for a prepaid plan in comparison to going for a postpaid plan, and in this article I will be doing a comparison of both below. Here are some major things you should know before going for a prepaid mobile plan. You Don’t Sign a Contract: One advantage of going for a prepaid mobile plan in comparison to a postpaid plan, though, is that you don’t have to sign a contract. If you decide to go for a postpaid plan most ISPs will require you to sign a contract of at least 12 months with them, unless you decide to go with a SIM Only plan; this isn’t the case with a prepaid option, and you can easily use any service you want without signing a contract. There are No Monthly/Hidden Fees: By going for a prepaid plan you also don’t have to worry about monthly subscriptions or a hidden fee that is often the case with a postpaid plan, and you will be the only person in control of your mobile usage and how you pay for it. For example, when you purchase one of the T-Mobile cell phones prepaid, you can pay by the day or buy minutes. I will also be summarizing some of the major things you need to know if you are deciding to go for a postpaid plan. You Have to Sign a Contract: In contrast to a prepaid plan (like I explained above), one major disadvantage of going for a postpaid plan is that you will have to sign a contract, and the contract will usually be on the terms of your ISP. If you don’t want to be bound by any contract or agreement you might want to stick with a prepaid plan. You Don’t Have to Worry About Recharging: Going for a postpaid option also has advantages, and one of the major advantages is that you don’t have to worry about recharging. In other words, you only have to pay for your subscription every month; and that should be able to cover all your needs for the entire month. You Get a Better Deal: This particular point alone might want to make you consider going for a postpaid plan; most postpaid customers will often pay twice less the amount you’re paying for mobile access every month so one of the best ways to negotiate a better deal with your ISP is by going for a postpaid plan. Paul T is an expert that loves to write about Cheap SIM Only deals. Will AT&T Get Its First 4G LTE Windows Phone Soon ?